People will say timing is everything. Yet sometimes using the power of 20-20 hindsight, timing doesn’t always seem to add up and make sense. Take the story – or better put, non-story – of my acquisition of Amazing Spider-Man #298. For those unaware of your ASM history, this issue is notable for two main reasons – it’s the first Spider-Man comic with artwork from future industry superstar Todd McFarlane, and it features a shadowy first-ever cameo from major Spidey supervillain Venom (his first “full” appearance was famously marked in ASM #300). 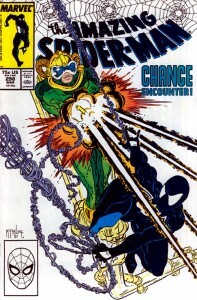 While neither McFarlane or Venom were household names at the time of this issue’s release in the late 1980s, I was always struck by the fact that this was not one of the issues my 7-year-old self picked up at the newsstand when it first came out. People who have been following my blog for the past year and change, should note that my first two issues of Amazing Spider-Man were #296 and #297 and I have distinct memories of picking up issue #300 at the newsstand (and subsequently reading it and destroying it, forcing me to spend a lot more money on a collector’s copy years later). But ASM #298 (and while we’re at it #299) did not come into my possession until I acquired the famed “big box of comic books” years later. 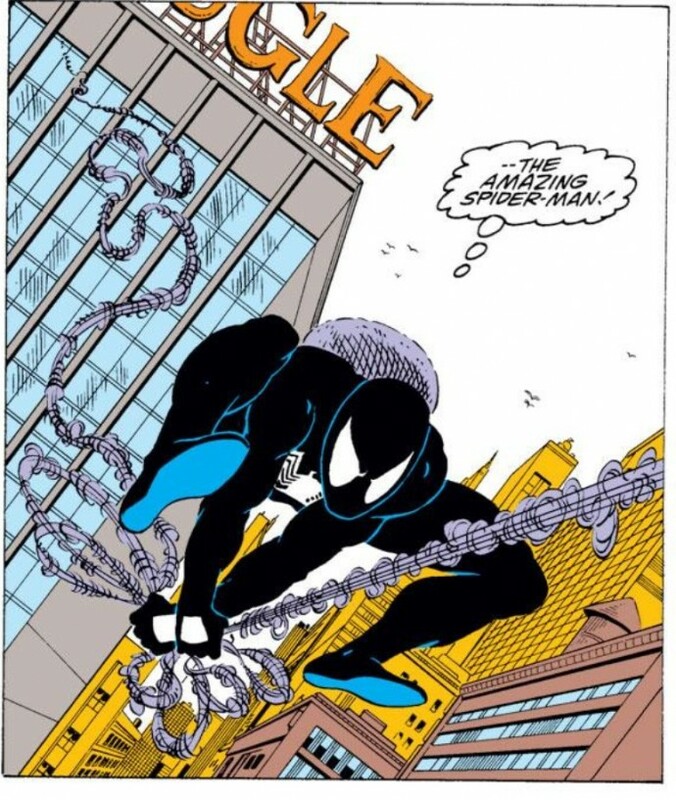 Given the timing of when my love for Spider-Man comic books was born, I always found this fact to be very odd. Maybe I actually did own this issue when it first came out, but given I was merely 7-years-old and had little to no understanding of comic book collecting, nor could I possibly have had the foresight to predict that the first-time artist of this particular comic book would go on to be one of the biggest names in the world of collectibles, that I casually tossed this comic book into a garbage can after rifling it through it a few times. 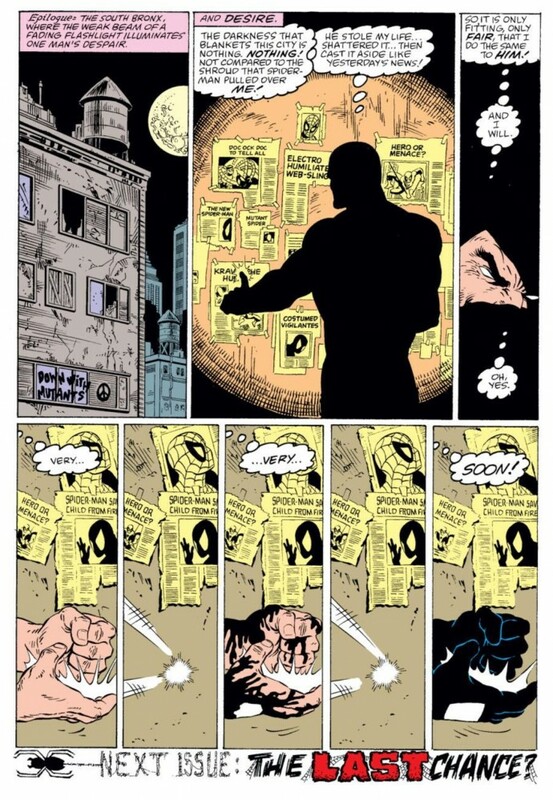 About 7 years after the comic first came out, when McFarlane was a semi-household name for geeks due to his success with Spider-Man and then the Spawn franchise, the aforementioned scenario of childish ignorance crossed my mind. At that time, I was gathering up every issue of Amazing Spider-Man that I could find throughout my house and filing those comic books into one centralized location, thus officially kicking off my ASM collection and quest. Armed with a copy of the Wizard magazine/price guide, I remember my eyes bugging out a bit when I saw that the two of the earliest copies of ASM in my collection, #296 #297, were barely worth a couple of bucks a pop, and then the next issue sequentially in line – which was of course, missing from my centralized pile – was worth a decent chunk of change to a teenager. Even as a small child, I had a fascination with numbers and completion – I remember getting a box of Topps baseball cards as a kid and trying like gangbusters to complete the entire set of 792 cards (at 17 cards in a pack and 36 packs in a box, I would fall just short every time, but perhaps buying a few additional packs of cards would put me over the top). So why I wouldn’t have picked up ASM #298 and #299 after picking up the two previous issues just seems like a major oversight, even for a second-grader.